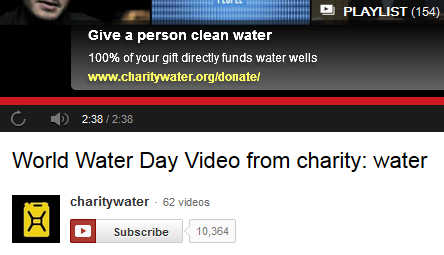 charity: water uses a call to action overlay that pops up at the end of their YouTube videos. No video camera? No problem. Videos created with still images, audio, and text can be just as powerful as moving images. Programs like Animoto can help you create a powerful video with no need to shoot footage. For a great example of video storytelling without moving images, check out Epic Change’s video featuring a thank you letter from a student in Tanzania. If your organization is struggling to develop video content, consider sharing short pieces (think 30 seconds) with simple storylines and clear call to actions before going all out and creating a 7-minute, year-end campaign video. Is your video missing a call to action? YouTube offers a way for nonprofits to add an overlay message to their video with a clear message. Not sure how to include music in your videos without getting into copyright issues? Check out Music Bakery for royalty-free music. Today’s post originally appeared on Network for Good’s learning center, Fundraising123. Liz Ragland, Marketing and Content Associate at Network for Good, has developed her communications style by working for a professional theatre company in Seattle, a political campaign in Oklahoma, and multiple advocacy organizations in DC. Now she spreads the nonprofit love at Network for Good. 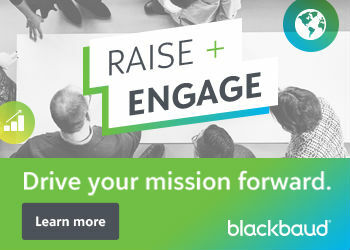 Since 2001 Network for Good has helped over 100,000 nonprofits raise over $1 billion in online donations by providing easy and affordable fundraising tools and training. Visit Network for Good’s learning center at www.fundraising123.org for more tips on nonprofit marketing, or register for a free fundraising webinar atwww.nonprofit911.org.